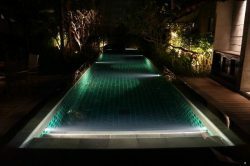 How Many Swimming Pool Lights Do I Need For My Pool Size? How Many Lights Do I Need For My Pool? Are you in the process of building your pool and can’t really decide how many lights you need? Choosing the right number of lights for your pool can maximize your pool’s beauty and safety. But I bet you’re wondering, “How many lights do I need for my pool?” Before you can answer that, let’s run through all of the preliminary things you need to consider before purchasing your lights for your new pool. What is the purpose of the lights? What kind of pool finish do I have? Are there areas of my pool that need more lighting than others? What is the size and shape of my pool? Do I want a colored or white pool light? Where am I placing the lights? Together, we will address each area. Fitness Use: Fitness pools are typically lit from the sides so that the swimmers don’t swim directly into beams of light. Family Use: Because recreational pools usually contain the most light, pay attention to safety areas such as steps, entrances, and exits. There should be enough light to safely assist swimmers in and out of the pool. For Aesthetics: Most pools used for aesthetics purposes keep the lights flushed with the wall of the pool, using a 1.5″ inlet fitting. Usually, they are the nicheless lights. It’s not just the brightness of the light that matters, but also the color on the finish of your pool. The interior color and texture of your pool can strongly affect the quality of your light. In fact, some colors will appear brighter than others in the water, especially towards the deeper end. 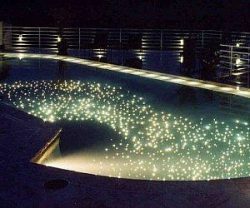 For light to medium pool finishes, colored or white lights are sufficient. Choose the lower wattage pool lights for lighter finishes and higher wattage lights for medium finishes. For dark finishes, depending on the darkness, the color can be absorbed by the finish. When that happens, some colors may not be visible, especially in the deeper ends. In darker pools, the colored lights tend to be concentrated in one area as opposed to a wide beam you normally see. In most cases, the best option is to purchase a white light. How Many Pool Lights Do I Need? Unfortunately, there isn’t a clear-cut standard that dictates how many lights a pool should have. For a long time, most pool contractors recommended a single pool light for small pools. However, we wanted to dive a little deeper than that. So, we reached out to Pentair to get a better idea of the how (and why) they recommend lights for new swimming pools. 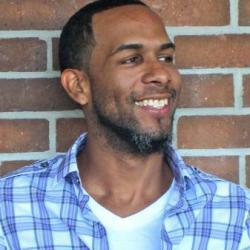 Here is the information we gathered. A measure to consider when purchasing your pool light is the Kelvin rating of the light. The higher the rating, the ‘cooler’ the light is. Incandescent lights are considered ‘warm’ lights, while LEDs are cool lights, which gives them the intense bluish color. Place lights strategically to avoid dark spots. This depends on the beam of the light. 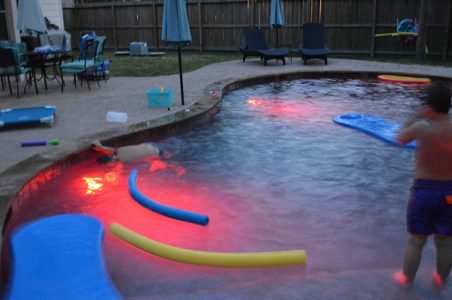 Most pool lights are required to be a minimum of 18″ underwater and should face away from the house or sitting areas. A 15 x 30 pool is the maximum size we recommend for using one light. If using one light for the entire pool, place the light at the deep end of the pool in a narrow beam (if that’s an option). A 20 x 40 pool could get away with 2 lights. A 20 x 42 pool probably needs 3 lights. For pools with 3 lights, we generally suggest placing the lights 5 feet from each end of the pool and equally spaced between. 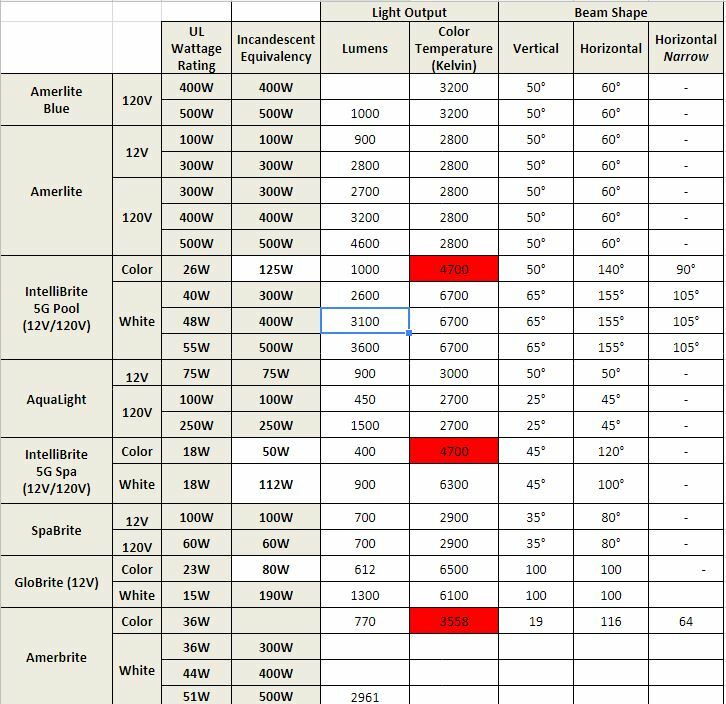 Below is a listing of Pentair Pool lights with their UL wattage rating, Lumens and Kelvin ratings, and vertical/horizontal beam shape. Unfortunately, most of this information is only valuable before completing construction of the pool. If the house you move into has a pool, you are limited by the existing lights. Still, information such as the light’s lumens rating, light output, and vertical beam shape, helps any pool owner looking to maximize the lights in their pool. It may also give you an idea of why certain lights appear duller in your pool as opposed to your neighbor’s. PSC Ep. 72: Do I need a fireman switch for my pool heater?